Want to know how to stop your dog from digging holes in your garden before she completely destroys the place and damage/uproot all your precious plants? Your yard has so many holes dug up that starts to look like Emmental, the famous Swiss cheese? Well, it's time you do something about that and, as with all dog behavioral problems, the sooner you deal with the situation the easier its solution would be. Burring your head in a freshly dug hole...priceless feeling! First of all, you have to accept that dogs are born with some instinctive behaviors that might be strange or annoying to us but at the same time these are absolutely natural, normal behaviors. Digging is one of them, especially for certain breeds like terriers and dachshunds. 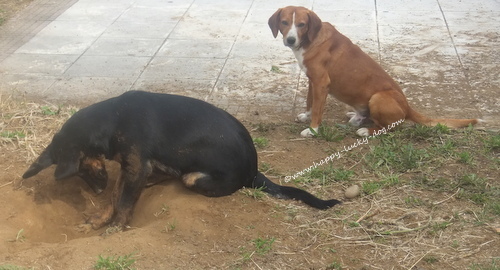 There are many reasons why a dog is digging and you have to identify what is the reason that makes digging so important for your dog if you want to stop or, at least, put this problematic behavior under some control. In order to learn how to stop dog digging you first have to find out the big WHY. There are several reasons that make dogs dig holes. They do it for pleasure. This is the first and most obvious reason. 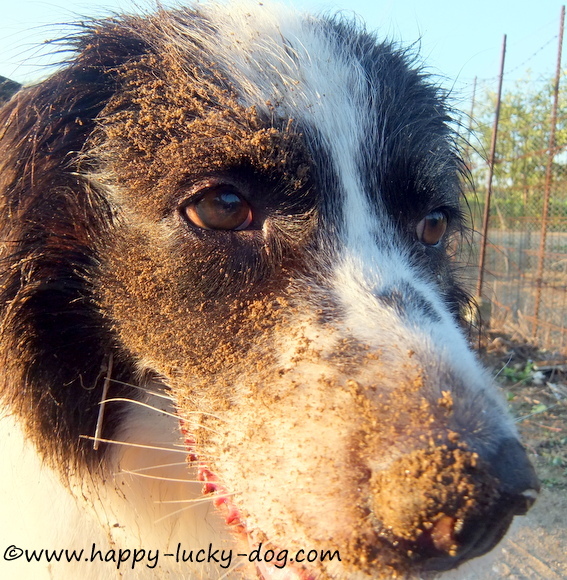 Most dogs love to dig, it's great entertainment to them! Boredom. Maybe your dog is being left alone for long hours (much longer that it can handle), without any interaction with family members or other dogs and, as a consequence, she is getting bored. Digging is a fun way to "kill time". Protection. The dog is trying to protect herself from weather conditions. During hot summer days it is very common to see a dog digging the ground in an attempt to escape from the heat. Same thing might happen during cold winter months when dogs dig holes and sit in them trying to find protection from icy weather. Hunting. You many not see them but that doesn't mean they don't exist. There might be small animals and bugs living under the ground of your garden that your dog CAN smell them and digs to get them out. Escape. If you notice that your dog's digging has a specific pattern along the fence then it is very possible that she is trying to escape. What is so attractive out there? Other dogs/cats? Neighbors having barbeque and the smell is making her crazy? Or it is just a way to tell you that you don't walk her as often as you should? Hidden treasures. Your dog has dug and hidden some of her precious bones/treats/toys and is trying to get them back. Or you caught her in the process of trying to hide them. Seeking attention. Maybe you've been so busy lately and forgot something really important. To your dog you are her whole world. Providing food and shelter is not enough. Your dog needs your time, your love and affection. So, what should you do to stop your dog from digging? Exercise. Make sure you take your dog for two long walks daily (it's good for your health too!). Dogs need to release all the energy they have stored in positive ways. Lack of exercise is the number one reason for the majority of all dog behavioral problems. So, grab her lease and get out. Walk, run, swim, climb. Do whatever you and your dog like and best fits your lifestyle. You know what they say, a tired dog is a calm and happy dog! Keep her company. 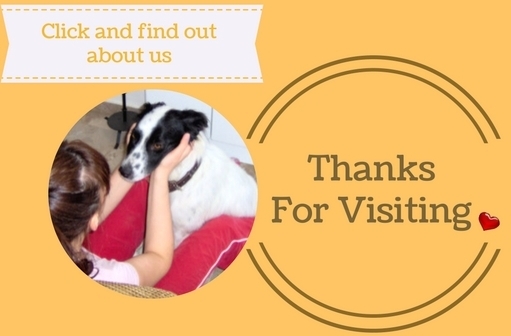 Is it possible that your dog stays alone for much longer that she can handle? Loneliness leads to sadness and boredom and that can easily lead to... you guessed that right, digging. I understand that all of us have busy lives and our everyday obligations can drain our energy. However, and I'm sure you'll agree, you can always find few minutes to get out and talk to your dog, throw her his favorite ball, pet her. Keep her busy. Make sure your dog has something to do while she's out in the yard. Give her something to chew, toys or her favorite Kong. Most importantly, give her a space where she IS ALLOWED to dig. Your aim should not be to find out how to stop dog digging completely. The goal is to stop your dog from digging all over the place and making a mess. Find an area in the garden that you decide it will be your dogs' mini playground. Mark it clearly and show your dog that it's her place. Hide the dog's favorite toys or some treats and encourage her to dig them up. Correct your dog every time she's digging in an area that she's not allowed to. Distract her with a sharp, loud noise. Clap your hands, blow a whistle, make a distinctive sound. For example, you can put some coins in an empty soda can and shake it. Make the act of digging more difficult and less enjoyable for your dog. Use strong garden fencing to protect your most precious plants. Burry some rocks under the surface of the dirt (big, flat ones are the best). Use chicken wire the same way. The wire takes away all the pleasure of digging. Also, you could try burring small balloons filled with water. For most dogs the combination of the unexpected sound and water will be a very unpleasant "surprise" and hopefully will keep them away. Some last words of advice. No matter which tactic you choose to follow, there are two things that are absolutely forbiden when you're trying to find out how to stop your dog from digging. Number One : You don't punish, you don't scare, you don't yell at your dog. This stuff does not work. Period. Number Two: Do not use any kind of toxic product or method. Always have in mind that poisons kill, and by using them you put your dog in great danger too.